WE HAVE GROWN AND REMAIN A COHERENT TEAM, ALREADY INCORPORATING 3rd GENERATION. We are a family business formed in 1948 by Joan Amat and directed from 1952 by Concepció Amigó, widow Amat. 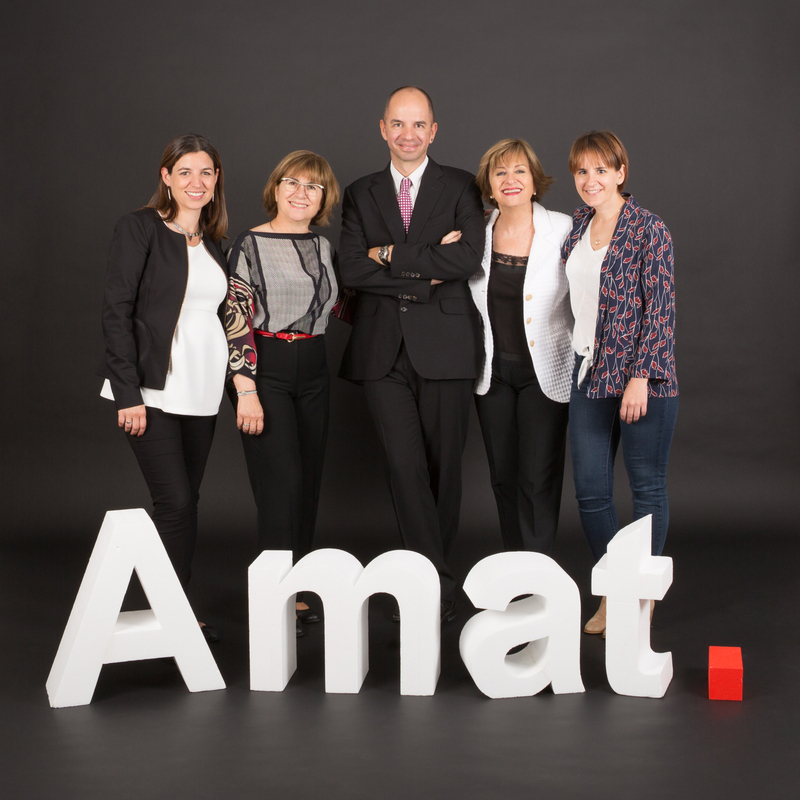 In 1990 the management passed to Immaculada and Joana Amat, and in 2010 the 3rd generation was added: Guifré and Martina Homedes Amat, and Nadia Massagué Amat. In 2018 Guifré Homedes Amat is the CEO of Amat Immobiliaris. ■ WE OFFER PROFESSIONAL COMPETENCE. Ongoing training for our employees and the highest level of work are an integral part of our enterprise. We’ve transmitted this enthusiasm to whom work with us. We use our imagination to approach every new challenge, we incorporate new technologies, that allow us to offer commodity, efficiency and quality to our services. ■ WE PROVIDE A CUSTOMIZED SERVICE. We have valuable human resources comprising lawyers, economists, surveyors and estate agents, allowing us to take advance the requirements of our clients. We were among the first firms in this sector to be awarded the Quality Certification ISO. We belong to the professional associations linked to our area of activity, and we work with several professional and corporate associations.